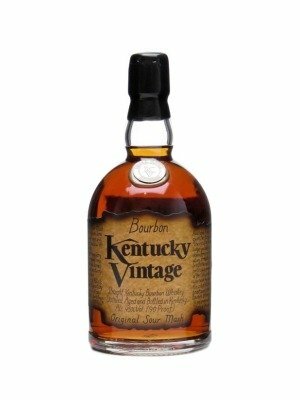 Kentucky Vintage Bourbon is a popular Whisky available from DrinkSupermarket.com in 70cl to buy online. Visit DrinkSupermarket.com for the best price for 70cl of Kentucky Vintage Bourbon or compare prices on our other Whisky products. Amber, with a golden cast. Medium-bodied. Reminiscent of clove, citrus, smoke, dried herbs. Buttery, smooth texture. Attractive in its viscosity and warmth of the palate. Nicely balanced by whiffs of campfire scents, soft fruit notes, and a light streak of fragrance. Where to buy Kentucky Vintage Bourbon ? Kentucky Vintage Bourbon Supermarkets & Stockists. You can buy Kentucky Vintage Bourbon online in most retailers and find it in the Whisky aisle in supermarkets but we found the best deals online for Kentucky Vintage Bourbon in DrinkSupermarket.com, TheDrinkShop, Amazon.co.uk, and others. Compare the current price of Kentucky Vintage Bourbon in 70cl size in the table of offers below. Simply click on the button to order Kentucky Vintage Bourbon online now.